Professional, prompt, easy going with great ideas is how I would describe Adrian. He could even decipher my descriptions of what I wanted and even used real language instead of the commuter jargon. This made communication and understanding a lot easier! Adrian made the whole process of setting up our new website really simple. The main objectives of ensuring the website was easy to navigate, clear and simple for users was achieved. 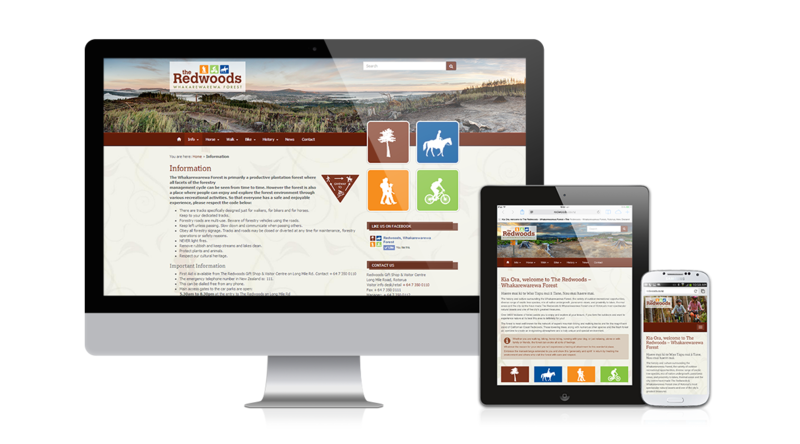 I am really pleased with the end product and will use Hodgeman Web & Design for any additions to The Redwoods website we choose to make in the future. Rebuilt from the ground up to be responsive (mobile and tablet friendly), and powered by the world’s most popular content management system (CMS), WordPress. We used the Bootstrap front-end framework for structuring the layout and setting the various screen sizes. 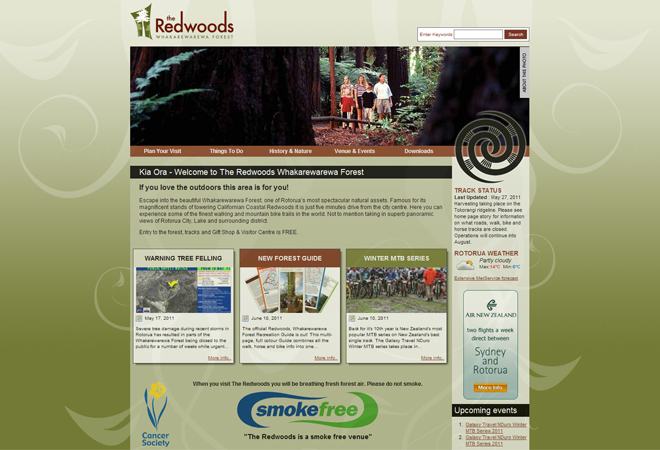 The Redwoods, Rotorua was looking for a professionally designed website that was inline with the rotoruaNZ.com family of websites and enlisted the help of a local graphic designer to design the look of the site. I took those designs and brought them to life with flash, transparencies and accordion style pages. They are extremely pleased with the final product.